Brayden James Little was born November 8, 1999, in Woodward, Oklahoma. He died Tuesday, October 29, 2018, in Collinsville, Oklahoma, at the age of 18 years. Brayden competed his secondary education in Collinsville and graduated with the Collinsville High School Class of 2018. 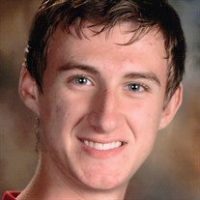 He was an honor student and a talented runner and was a member of the Collinsville Cardinal track and cross-country teams. He also worked with Collinsville Public Schools in IT support. He enjoyed a variety of pastimes along with running, such as computer gaming with friends and playing racquetball. He was preceded in death by great grandparents, Naomi Allen, and Damon and Juanita Little. Visitation will be held from 1:00 p.m. to 5:00 p.m. Sunday, November 4, 2018, at Mowery Funeral Service in Owasso. Funeral service will be held 2:00 p.m. Monday, November 5, 2018, at the Mowery Funeral Service Chapel in Owasso with Larry Stokes officiating. Serving as casket bearers will be Jacob Easley, Levi Captain, Josh Lemmons, Jaxson Little, Tanner Loomis, and Devin Loomis. Committal service and interment will follow at Ridgelawn Cemetery in Collinsville. The family requests memorial contributions be made to the Brayden Little Memorial Fund, c/o First Bank of Owasso, P.O. Box 1800, Owasso, Oklahoma, 74055. Arrangements and services were entrusted to Mowery Funeral Service of Owasso.